Your clients use different apps?" 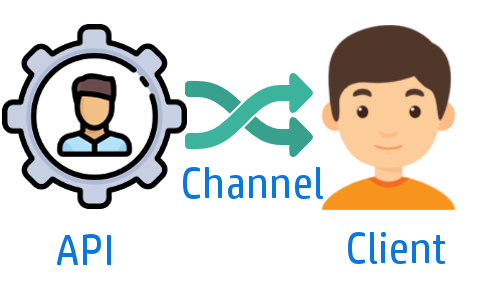 A Channel is an input/output interface that lets you communicate with your clients and vice versa. You can add number of channels based the type of interaction you have with your clients. e.g. If you only want to send an sms to your clients and do not exepct any reply then you can use our inbuilt shared messaging channel, however if you want your clients to communicate through Facebook, then you need to add a facebook channel. You can add various channels based on your target audience. We provide following channels that you can create.